ST. PETERSBURG, June 3. /TASS/. Avtovaz plans to deliver several hundred cars to China this year, the company’s CEO Nicolas Maure told reporters. According to him, Avtovaz is currently negotiating with Chinese suppliers, but negotiations are also being conducted with Bipek-auto from Kazakhstan. 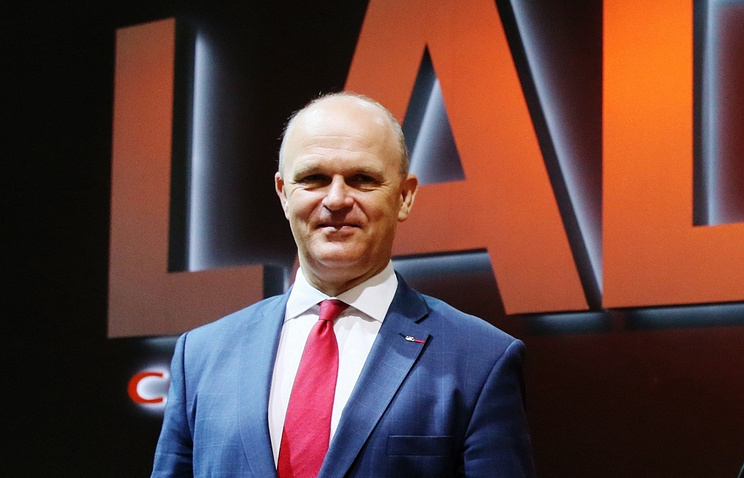 It was reported earlier that Avtovaz might begin exporting Lada 4x4 to China before the end of the year. Maure also noted that the company reduced export forecast for 2017 from 30,000 to 25,000 cars. According to the CEO, revision of the forecast happened against the backdrop of a weak market in Kazakhstan and due to utilization fee introduced last year in the country. Avtovaz increased its sales forecast for Russia in 2017 to more than 300,000 cars, Nicolas Maure continued. According to Maure, this figure will "exceed 280,000 - 300,000 cars." "First of all we want Lada cars to be presented in taxi fleets. We are happy to sign agreements with Yandex Taxi and Uber, so this is already on the way," Maure has announced. Alliance Rostec Auto B.V., joint venture of Renault-Nissan and Russian corporation Rostec will consolidate almost 99% of the Avtovaz carmaker as a result of the company's additional capitalization, head of Rostec Sergei Chemezov also told reporters. "Somewhere in July, the second stage will be completed, when our debts to Renault-Nissan for the amounts of 51 billion rubles ($901 mln) and 32 billion rubles ($565 mln) will be converted. As a result, we will have 25% of shares, Renault-Nissan will have about 75%." The joint venture will get almost 99%, he added. Avtovaz shareholders carry out the recapitalization of the company in two stages in order to restructure the company's debt.